But that doesn’t mean we should forego barley, since the benefits of whole grains are much more than simply avoiding gluten. Plus, who doesn’t like the gentle chew of pearl barley in a soup? 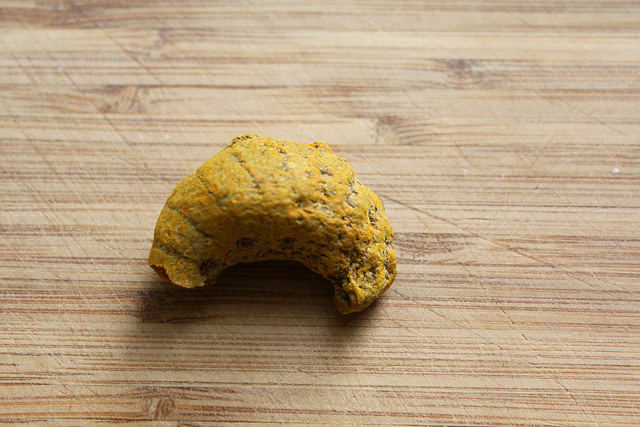 So when a co-worker of mine gathered ’round a communal table for lunch with a bowl of distinctly turmeric-tinted soup with small baubles, I lurched over to inspect it. Is that soup e… jo? Something I’ve only read about but never had the pleasure of seeing or trying before. It was. And she was surprised. I continued to drill her on how she makes it, and we compared recipes on blog posts that afternoon. So I had to make it. Taking her cues, it was a most simple, elegantly understated soup of chicken broth with carrots, onions, some tomato paste, often dairy, and most importantly, barley. It’s really barley that binds the various adaptations of this soup together. It could be classified in the canon of “peasant” soups, and is simpler than some of the most rustic versions of which might come to mind (acquacotta or “cooked water” being one of them). We had a hard time nailing down the perfect recipe for soup e jo online. According to Tara, my co-worker, it doesn’t typically have actual pieces of chicken meat, and she’s never seen it served that way, unlike most chicken broth-based soups I’ve seen. (I’d love to know why, and my hunch is that it wasn’t traditionally chicken broth, but rather “cooked water” with barley.) Soup e jo is typically creamy, thickened with heavy cream, or in Tara’s case, yogurt, simply because she was lactose-intolerant. I followed suit and felt that yogurt provided ample tang to make the lemon juice or vinegar called for in most recipes unnecessary. We eventually settled on a good example coming from the blog Persian Momma, although tomato paste was not used in it. This was a no-no, at least according to Tara’s own Persian momma. Times like these, I’m comforted to know that most treasured, comfort-food recipes from around the globe don’t fit into any exact formulas. The home-cooked tradition has spurned so many variations that it’s impossible to tell anymore what’s the “right way” to cook a certain dish, no matter how iconic it may be to a cuisine. I would love to see what Louisa Shafia has to say on the matter of soup e jo, and what anyone else who has an opinion on it says as well. And more broadly, I would love to share these dilemmas of trying to define a dish–and a cuisine–too. It’s been a constant question as I wrote The Food of Taiwan, a cookbook on a cuisine that has yet to be fully presented in the West. And on March 31, I’m joining Louisa, fellow author Leah Koenig, and food editor Beth Kracklauer for a panel discussion on “Cooking Your Culture” that will explore these topics as we explored them in writing our cookbooks, at PowerHouse Books. I’m looking forward to a meaty discussion on that. But in the meantime, enjoying a soothingly unembellished, pared-down expression of barley in a soup as comforting as you can imagine. It’s really that good, I could eat it for lunch every day. Heat the oil in a heavy pot or Dutch oven over low heat, and add the onions and celery along with a pinch of salt. Cook, stirring occasionally, over low heat until well softened, 6-8 minutes. Add the garlic and turmeric and cook, stirring, another 1-2 minutes. Add the tomato paste and cook, stirring, another minute. Add the carrots, barley, and stock and increase heat to bring to a boil. Reduce heat to a low simmer and cover. Cook covered 30-40 minutes, or until the barley is very tender. 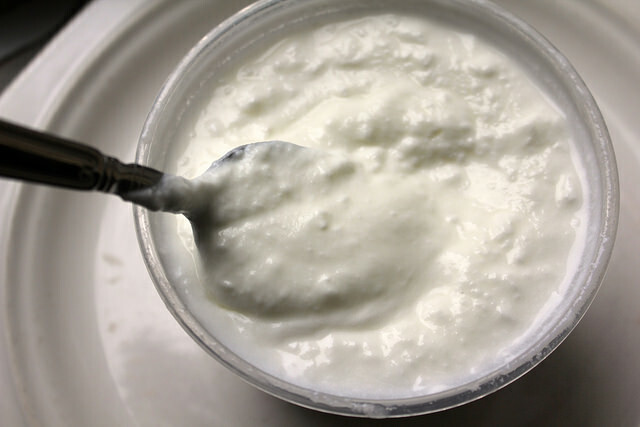 Combine a ladle of the soup in a separate bowl with the yogurt and stir until smoothly incorporated. Pour the mixture into the soup and stir. Add salt and pepper to taste. Serve, or cover and chill before serving for up to 5 days. 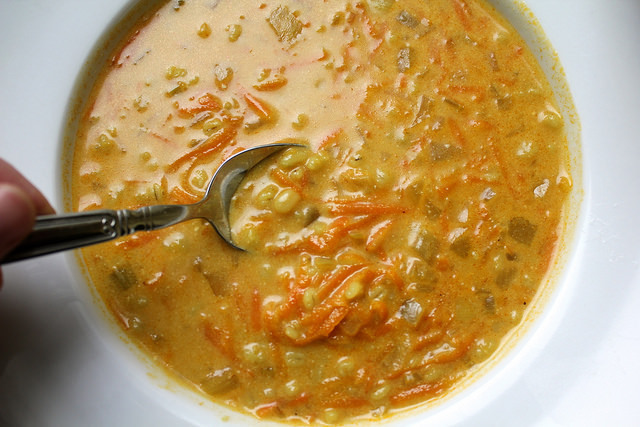 Four brownie points: It could use a vegetable side, but even without, this soup is a well-balanced bowl of nutrition. By using whole grain barley (or pearl barley, which is partially processed, with the bran removed), you’re getting fiber, protein, and a host of essential minerals, like manganese and small amounts of iron. Plenty of carrots ensures your Vitamin A for the day. Turmeric is associated with anti-inflammatory properties and has a warming effect on the body, soothing you for a cold winter’s day. I added some spinach to my soup later into the week of reheating it, to give it some variety and also add some Vitamin K.
Six maple leaves: It’s easy to make this soup from your pantry, as long as you have some good stock in the freezer (or can throw one together from odds and ends like vegetable trimmings). Aside from that, dry goods like barley and spices, winter produce like carrots and onion are all that you’ll need for this simple meal. Are you no longer going to be sending your sit RSS…I like getting your articles on my homepage!